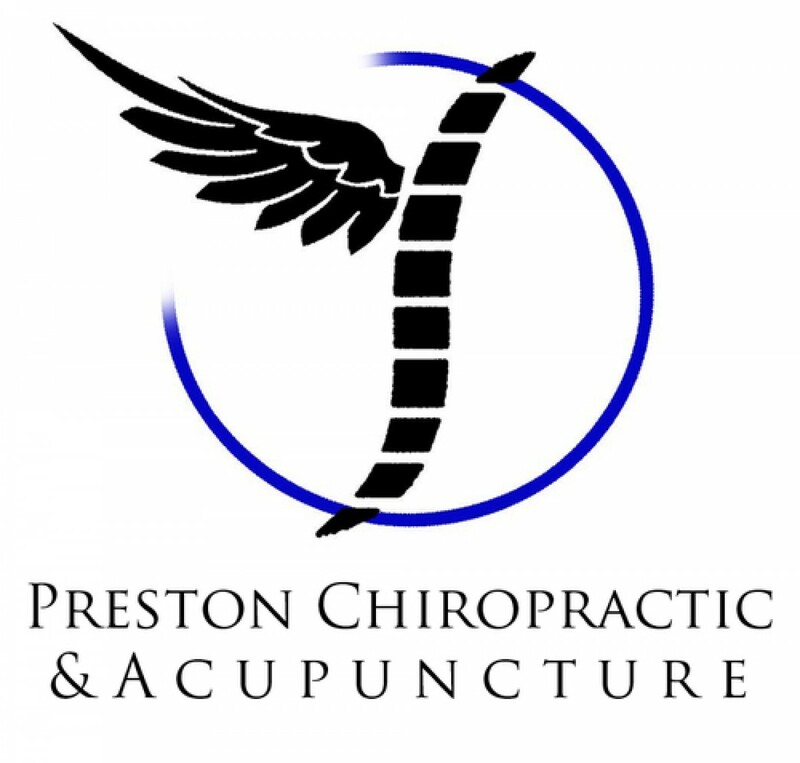 Preston Family Chiropractic and Acupuncture – Page 2 – Cary's choice in Chiropractic and Acupuncture care for over 10 years! Sports injuries can be traumatic, possibly even career ending if they’re severe enough. Most sports injuries are caused by traumatic forces acting upon a joint or body part in motion. This generally results in hyperextension or hyper flexion, both of which are equally unwanted. Such injuries can be extremely painful regardless of where they happen on the body. Fortunately, chiropractors can assess, diagnose, and mange sports-related injuries with no problems. At Preston chiropractic, we start by determining the cause of pain and move on to formulating and implementing appropriate treatment. Treatment may include joint manipulation and mobilization, soft tissue therapies, adjunct modalities, rehabilitation and individualized exercises and simple lifestyle advice. Chiropractic care restores proper body function, enhances healing of damaged tissue and reduces overall pain in the body. Furthermore, we help you determine the best way to play with the lowest possibilities of re-injury! A chiropractor can perform adjustments to your spine to reduce discomfort in your back, if that’s what bothers you. These manipulations improve your posture, balance, form and strength. Consequently, they keep you away from future injuries. Beyond this, you have to be sure to stretch and use proper posture and such in your every-day life, this will extend the benefits you get from your treatment for a while! Neck injuries or pain are one of the most common complaints from athletes, who often suffer from neck issues. Fortunately, they can be treated with the proper chiropractic care. Issues such as herniated discs or spinal stenosis can be effectively treated by chiropractic care, that may come as a surprise to some. Treatment begins by determining very specifically the cause of pain and farther treatment by either mechanical or manual adjustments. Arm injuries are very common among players especially things like damaged rotator cuffs and shoulder tendinitis. These damages affect the arms and shoulders, and they can happen in an instant before you even know what hit you. Injuries to the shoulders and arms can also be attributed to just overuse, for example in baseball where the player throws the ball too hard or too frequently. As a result, the spinal nerves are sometimes compressed. In such cases, the chiropractor finds the point of interference on your vertebrae and perform treatment. 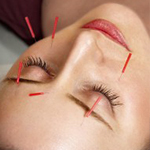 Beyond just eliminating the pain, the treatment enhances movement. We aim to heal things from the root of the issue, not just make them feel better until you’re forced to come in again for more relief! Headaches are common not just in athletes but in ordinary people as well. Headaches may be a result of stress or family history. Chiropractic care can help treat both tension-type headaches and migraines. Furthermore, chiropractic care can reduce the frequency and intensity of migraines. It’s recommended that any athlete, injured or not, go see a chiropractor at least every sports season or so, more so just to be sure you don’t have any underlying issues you’re missing and making worse. Not only for injuries, but even if you’re just sore from getting hit for example, they may be able to provide you with some relief! Beyond even that, you will be given information on how to prevent future injuries. Visiting a chiropractor also increases your performance levels because it increases range of motion and improves balance. Schedule a chiropractic session in Cary at Preston chiropractic center to take care of all your pains and injuries now! Their only goal is getting you out the door feeling good again! 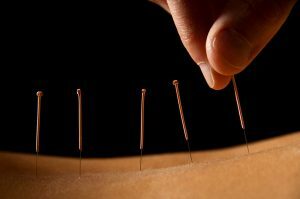 Author prestonfamilychiropracticPosted on August 7, 2018 Leave a comment on Acupuncture And Stress Relief?! 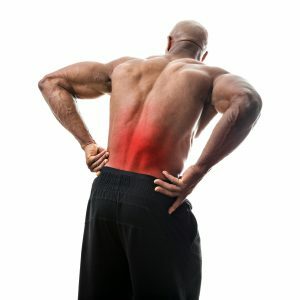 Author prestonfamilychiropracticPosted on July 2, 2018 Leave a comment on Looking For A Lasting Back Pain Solution? Healthcare procedures have advanced and with that, more people are becoming concerned with their health. Non-invasive chiropractic health practices are being considered as opposed to taking pain relievers to alleviate aches and pains in the body. One of the benefits of these non-invasive treatments is that they allow you to get to the root of the problem and as such, the condition can be relieved with an understanding of the primary issue in mind. Chiropractic care in Cary, NC is typically used for the treatment of joint pain, neck pain, back pain, or headaches. Our society is governed by increased screen use, chiropractors may end up becoming the body’s regular repair mechanic. In order to handle this need, chiropractors provide a hands-on and drug-free approach to their healthcare methods, which involves an examination, diagnosis, and treatment. The aim is to promote normal functioning by eliminating pain without the need for medications or surgery. Chiropractors in Cary NC have a wide range of diagnostic skills and they have received the necessary training to recommend rehabilitative and therapeutic exercises in addition to offering lifestyle, dietary, and nutritional counseling. A chiropractor is, in other words, the fitness and health coach you never knew you needed. Both of these chiropractic methods are considered the first-line approach but surgery becomes an option recommended by the chiropractor in Cary NC in the event that non-invasive treatments to prove to be unsuccessful. Damaged knees usually become worse when there is reduced activity but physiotherapy and physical therapy can aid in the restoration of function, eliminating the need for surgical means. Chiropractors in Cary NC commonly perform a therapeutic procedure known as chiropractic adjustment or spinal manipulation. The aim of this procedure is to manually improve joint mobility through the application of a controlled force into the joints that are restricted from moving thanks to tissue injury. Tissue injury may be the result of a traumatic event i.e. lifting heavy objects improperly or repetitive stresses (maintaining an improper sitting posture for extended periods). Either way, injured tissues go through chemical and physical changes that can result in reduced function, pain, and inflammation. Adjustment or manipulation of these affected tissues and joints can and will restore mobility, easing muscle tightness and alleviating pain so the tissues can heal. Chiropractic care in Cary NC might be the main method of treatment in most cases, lower back pain included. In the event that there are other medical conditions present, chiropractic care in Cary NC can support or complement medical treatment by helping to relieve any musculoskeletal elements involved. A chiropractor in Cary NC will work with your spine as the house for your spinal cord, which is the body’s command center. The chiropractor’s goal is to ensure this spinal nerve center is in optimum working condition to ensure the rest of the body is functioning normally as required. A visit to a chiropractor in Cary NC can result in dietary advice, recommendations for new gym classes, reduced work hours, or relaxation therapy etc. Make an appointment with Preston Chiropractic in Cary NC today if you find the non-invasive wellness and health approach more appealing to you. Even if you don’t think its for you, the results could surprise you! The nerves contained in the abdominal and chest (thoracic region) of our spine are associated with digestion. Herniated discs can cause stomach issues but when the thoracic vertebrae is not properly aligned it can cause digestion issues too. This is because nerves start sending irregular impulses to the intestines and stomach thus leading to issues such as bloating and heartburn. By keeping the thoracic spine properly aligned, you can realize better digestion. is need for more research but some independent studies indicated that chiropractic treatment can be instrumental in alleviating pain from individuals who suffer from chronic headaches. Visit their website here and look through the list of Doctors you’re likely to receive care from. You can also contact them through the site to book an appointment or ask questions. Author prestonfamilychiropracticPosted on April 5, 2018 Leave a comment on What kind of issues can a chiropractor help me with? Chiropractic care is a non-surgical healthcare treatment for disorders of the musculoskeletal or nervous system. The main aim of chiropractic care is to treat and maintain the spinal cord and the surrounding structures. Many studies have concluded the benefits of chiropractic care and its general effect on lower back treatment and neck pain as well as lumbar herniated discs. However, how long does chiropractic treatment last? Depending on the extent of the problem, chiropractic care helps patients feel noticeably better shortly after receiving treatment. The general rule of improvement is within 1 to 4 weeks from starting chiropractic therapy. However, this is for non-complex musculoskeletal conditions. During the first visits, the patient will typically feel pain reduction of 40% to 80%. After some time the pain can completely disappear along with functional improvement. Mobilization: chiropractic mobilization is low-velocity manipulation, stretching and movement of the joints and muscles. The goal for the manipulation is to increase motion in these areas in the shortest time possible. Manual Manipulation and Spinal Manipulation: the spinal manipulation and manual manipulation is a high-velocity type of manipulation, which include short lever arm thrust applied to abnormal vertebra aiming to improve functionality, reduce irritation and restoring motion. High-velocity chiropractic practice takes 1 to 4 weeks to regain functionality. The main aim of chiropractors is to do everything they can to reduce pain and restore functionality as fast as possible. However, for a successful outcome, patients should make sure they attend all sessions of their chiropractic program plan. In general, a chiropractic plan includes stretches and other types of exercises in addition to ergonomic tools such as pillows, belts and back supports. Not attending to all parts of the process will increase the amount of time needed for care. For chiropractic care to be effective, a chiropractic program plan takes 2 to 4 weeks with visits of 3 times a week. After improvement is noted, there is an introduction to self-help or home-based recommendations with the help of ergonomic tools like elastic bands, dietary support or the use of a foam roller. The chiropractic plan and time frame are driven by the patient’s level of activity, pain, and disability. Author prestonfamilychiropracticPosted on March 5, 2018 Leave a comment on Chiropractic Care: How Long Will My Treatments Last?